Advocates have no problem extolling the advantages of a four-day school week. It saves districts a little money. It helps schools attract and keep teachers. It fosters teacher training and collaboration. But when it comes to student performance, these same supporters choose their words cautiously. They’ll say the switch hasn’t hurt student achievement. It’s a tepid claim. The statistics call it into question. In an attempt to answer questions about four-day schools — and their effect on students — Idaho Education News has spent several months collecting and compiling academic and demographic data. Test results. Students in four-day schools struggled on this spring’s Smarter Balanced Assessment Consortium exam, the new test aligned to core standards. Across the state and across all grades — third through eighth grade, and high school — 51.1 percent of students scored proficient or better in English language arts. In math, the proficiency rate was 39.3 percent. Only 10 four-day districts and charters met or exceeded these statewide proficiency numbers. The remaining 32 districts and charters fell short. However, there is no way of knowing whether these results have anything to do with school scheduling. SATs. Students in four-day schools lagged behind on the SAT, a college entrance exam administered to nearly 17,000 juniors in April. Overall, Idaho students averaged 1353 on the SAT, well below the 1550 benchmark that is considered an indicator of college readiness. Only seven of 34 four-day high schools exceeded the state average. Only one four-day school — Sage International, an affluent Boise charter school — averaged better than 1550. College attendance. Four-day schools are falling short of Idaho’s middling college go-on rate. Only 50 percent of Idaho’s class of 2014 have enrolled in a postsecondary program. The State Board of Education report omitted most small high schools and covered only 19 four-day high schools. Out of these, only six met the 50 percent mark. The go-on rate has become the defining metric in Idaho education. Gov. Butch Otter, the State Board and business and education leaders have united behind one goal: They want 60 percent of Idaho’s young adults to hold a postsecondary degree by 2020. In 2014, this figure was 42 percent. It’s difficult to draw firm conclusions from the latest numbers. Sample sizes are small. Long-term trends are elusive. Four-day districts are among the smallest in Idaho. Public agencies and test vendors do not release data about groups of 10 or fewer students, to protect student privacy. That applies to last month’s long-delayed State Department of Education release of SBAC scores, the College Board’s annual report on SAT scores and the State Board’s college attendance numbers. As a result, some numbers are unavailable for smaller four-day schools and districts. Meanwhile, Idaho’s testing portfolio continues to change, which makes it more difficult to compare results over time. The SAT now measures the vast majority of high school juniors, because the state pays student fees for the test. Before Idaho established the free “SAT Day” in 2012, only a small sampling of college-bound students took the test. SAT Day scores reveal some recent trends. Among four-day high schools, 12 have seen SAT scores increase since 2012, while scores dropped in 11 other schools. The old Idaho Standards Achievement Test provides a historical yardstick: For example, the Preston School District has used the ISAT to gauge the merits of its four-day schedule. But the state mothballed the ISAT in 2013, replacing it with the SBAC. The two tests aren’t comparable. Idaho has only one year of SBAC results, from this spring. And it’s entirely possible that the state will ditch the time-consuming and controversial online exam, replacing it with an entirely different assessment. The lack of good academic data on four-day schools is hardly unique to Idaho. “While the positives and negatives of the four-day week have been widely debated, research on the impacts of the schedule is extremely limited,” Molly Ryan wrote in a study for the Education Commission of the States. The body of research has changed little since Ryan’s 2009 report. The only thing that has changed is the number of states that have some four-day schools; that number is at least 22, and rising. The academic research — such as it is — provides little value to school officials contemplating a scheduling change. “Most of the researchers caution that because of the inconclusive results, decisions to change schedules should not be based on test scores but on other stakeholder concerns,” said Education Northwest, a Portland, Ore.-based research group, in a May 2013 report. But one 2012 study — recently cited on the Huffington Post online news site — paints four-day schools in an encouraging light. Based on test scores in Colorado, fifth-grade math scores improved with the switch to a four-day calendar. Fourth-grade reading scores improved as well, but unlike the math results, this change was not “statistically significant,” and could have been caused by other factors. In an interview, one of the report’s co-authors said she was surprised by the results, and the lack of research into four-day schools. She says her study did not try to explain why the Colorado scores improved — which could also be a function of better teaching methods or improved school attendance. “(There’s) a lot left to be done,” said Mary Beth Walker, dean of Georgia State University’s Andrew Young School of Policy Studies. Many Idaho policymakers have shown little interest in four-day schools. Rep. Ilana Rubel is taking a critical look at the academic data that is available. The Boise Democrat is openly skeptical of four-day schools. She considered enrolling her own kids in Sage International, located in her Southeast Boise legislative district, but she was uneasy about Sage’s four-day schedule. Earlier this year, she floated the idea of a bill demanding a review of four-day schools. She backed off after requesting some numbers on academics from the State Board. The report didn’t represent an ongoing review of four- and five-day schools, said board spokesman Blake Youde; rather, it was a routine response to a legislator’s inquiry. The results, predictably enough, were mixed. Four- and five-day schools scored roughly the same on the ISAT. Five-day schools outpaced four-day schools on the most recent Idaho Reading Indicator for kindergartners through third-graders. Four-day schools lagged behind in go-on rates. Rubel withdrew her bill but withholds her support. She says she may run a bill in 2016, and she kept the State Board’s response. 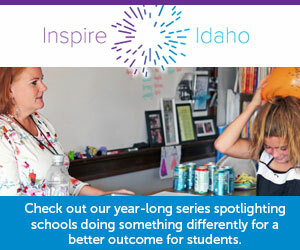 “Rescheduled Education” is the product of a partnership between Idaho Education News and Idaho Public Television. Reporting on the series are Kevin Richert and Clark Corbin of Idaho Education News and Seth Ogilvie and Melissa Davlin of Idaho Public Television. Video producers are Andrew Reed of Idaho Education News and Troy Shreve of Idaho Public Television. Idaho Education News data analyst Randy Schrader compiled data for the series. A schedule change saves money. Just not much. Across the country, more schools are adopting a four-day calendar, according to the Wall Street Journal. Listen to the Journal’s education writer explain the trend. An Idaho Education News investigation uncovered an arrangement that survives on non-traditional funding practices where money is shuffled through an out-of-state, for-profit company that delivers curriculum to more than 500 Idaho students. A grassroots group is attacking the district’s claim that the measure won’t trigger a tax hike. A four-day schedule: a tough ‘bandwagon’ to escape? School districts save little money by shifting to a four-day calendar. But once they make a schedule change, it is politically difficult to turn back, according to a scholar who specializes in rural education.